Come join me and the Xcite Steps team for the 15th Annual NFAR San Diego Race for Autism for a 5K walk/run or 1 mile family fun walk. 100% of the funds raised at the Race for Autism stay in San Diego to support local autism programs, services, outreach efforts, parent support and educational initiatives. To date, NFAR has awarded over 1.6 MILLION dollars to autism community programs and to 700 classrooms throughout San Diego County. IF YOU CANNOT COME TO THE RACE, DON'T WORRY! There is a "RACE FROM HOME" option that allows anyone to be a part of the Xcite Steps Team! Please join us on April 6th in Balboa Park and be a SUPERHERO for autism! There are no requirements for fundraising, and your contribution with the registration fee alone is very much appreciated. 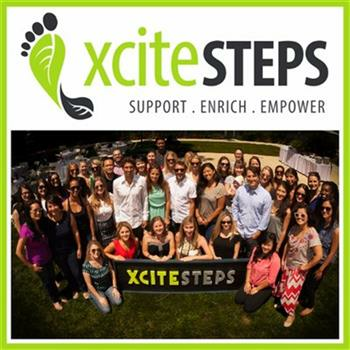 If you cannot sign up to walk with the Xcite Steps group, please consider donating to our page. Any amount helps us meet our goal and helps local families in the autism community. Thank you all!